Hey Mama! 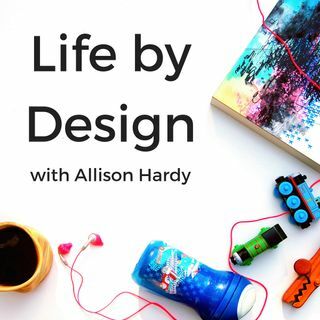 Welcome to episode #106 of the Life by Design Podcast with Allison Hardy! Today I’m interviewing with Branding and Business Consultant, Jennifer Maggiore! Jennifer Maggiore is an accomplished consultant, speaker, and author with a passion for supporting brilliant businesswomen through the inner and outer work of developing leading brands. She most recently founded Catalyst Branding + Business Consulting, where she serves as the catalyst for her clients’ success through private ... See More consultation and group coaching to build their brands and grow their businesses. She started her first business in 2005 – an apparel company that she later sold – and went on to found the award-winning digital firm red balloon social media, for which she currently serves as CEO. Based in Scottsdale, Arizona, Jenn is happily married to her high school sweetheart, a residential real estate Broker. She has two very bright boys, one a budding musician who survived a brain tumor at age 2, the other a future engineer with a passion for building and disassembling everything (Everything. Don’t leave this kid alone with a screwdriver). Connect with her at brandwithcatalyst.com. > Jennifer’s definition of having it all is having as much as you want without going crazy. Just because you have access to things doesn’t really bring you happiness. > Jennifer talks about how everything springs from your brand. What do you want to be known for? What are you about? Who are you and who are you resonating with? Branding is the way you talk, colors, fonts, subjects and topics are what you become known for. > People are craving real. As a business owner, you can transfer your brand by being real and authentic and really think about what you stand for. > Jennifer mentions a strong quote from a book called Don’t Die With Your Music Still in You which says-“There are no new messages, there are only new messengers”. She reminds us that our unique perspective is all that matters. > The only way to get what you want is to get clear on what that is. To get that clarity, you need to talk it out with someone who is willing to let the conversation go where it needs to go. > Jennifer believes that a sense of community is important especially through doing group video calls. She feels it’s important to see each other’s face. > Listen to the Catalyst Conversations podcast with Jennifer.